Audrey always said Take pleasure in every passing day … which sounds like a good idea. Stopping for a quick ristretto can be a part of it. A little something that adds to the pleasures of life. 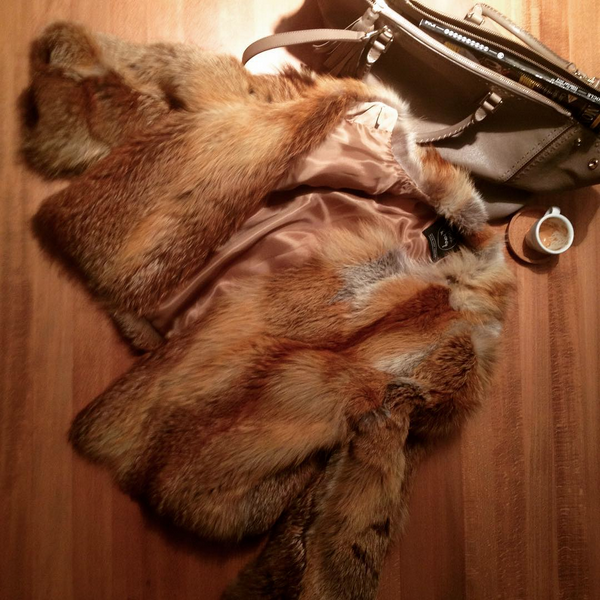 And seeing this beautifully colored long hair fur jacket on a girl who’s having the ristretto is also a little pleasure. You receive and you give. That’s how things should be. 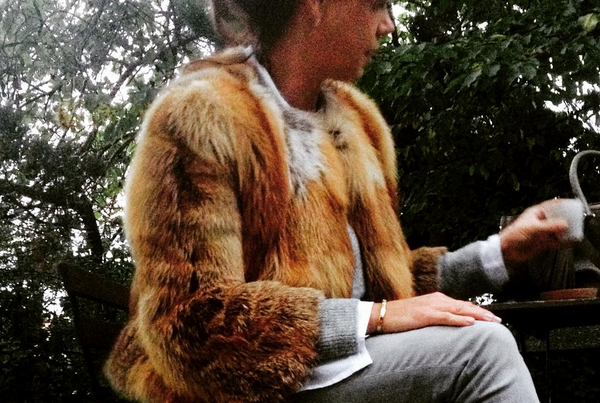 The jacket was made from pre-loved fox fur. Thanks to its natural color and casual style it can be worn with jeans for afternoon stroll through the city as well as with black trousers for more formal dinner party. Join our mailing list to receive the latest news and updates from Mink & Honey.